Yoga Nidra is a power relaxation technique and mind programming tool. 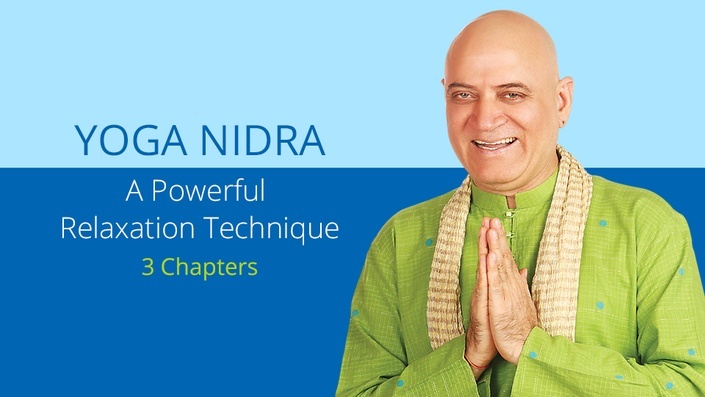 Hear Dr. Kataria as he takes you through Yoga Nidra guided relaxation. In this highly stressed out world today, people have no time to relax and sleep. As a result, they are irritated throughout the day which adversely affects their work performance and lowers their potential. Just 30 minutes of Yoga Nidra is equivalent to two hours of ordinary sleep. It is the fastest way to recharge and relax both body and mind. Yoga Nidra or yogic sleep is a unique art of conscious relaxation without really going to sleep. It generates a sense of calmness to the mind and produces feelings of tranquility and peace. You will feel energized, light, cheerful and relaxed. It will clear your mind of all tensions and worries. All you need to do is listen to the mesmerizing voice of Dr. Kataria on this new powerful audio CD as he takes you through guided relaxation and helps you feel refreshed and rejuvenated with a complete sense of well being.